OMG! I am so sorry I, (Little Sis) have not been around the blog this past week! I have missed everyone so much and just feel like I have neglected you! But I am excited to be back in the game and bringing you the Naturally-Nifty Party today! Can you believe we have almost hosted 30 of these awesome get togethers! I am excited to see what yall have come up this week....and later I am excited to show you some of the things I have been up to around my own home! So stay tuned this week! As you guys have seen... I, big sis, have really grown many vegetables this year with our raised beds that we built. One of the things that I didn't do, but intrigues me is pickling some of them. I told myself that I will try it next year, as I am pretty sure I am a little late in the game. I was so excited this week to see the link up from Leslie at Leslie Marquez Designs about her Pickled Peppers. 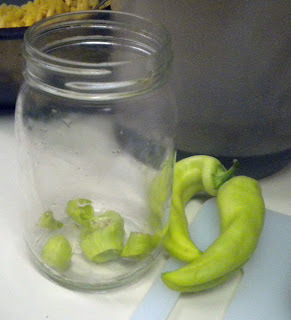 What an easy 'recipe' to pickle the peppers. Especially for a vegetable that produces in mass quantitates, like she said, it is good to have a plan. I am so excited to try this in the future. If I can find some at the local farmers market, I might just try it sooner rather than later. If I do- I will let you know how it goes! Thanks, Leslie. 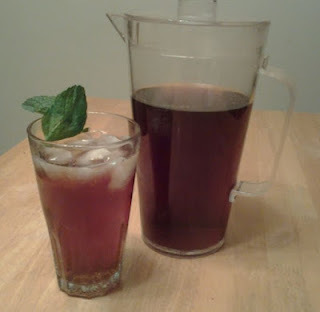 I am loving this Mint Sweet Tea Recipe shared by Whimsically Homemade last week! This is a perfect summer--out in the heat drink! I am so excited to get some mint leaves and try this! My family LOVES sweet tea, so I think it could be really fun and rather refreshing, and this would be a great backyard party BBQ drink to serve to your guests! We hope that you will join us this week and link up your favorite posts! Remember these are Pinned to our PINTEREST Boards! Newer PostSweaty Bands Review and Giveaway!